Decorating a home is very important because caters home’s aesthetic beauty and improves functionality. Whether you are going to refurbish a house or build it from scratch, decorating it cannot be overlooked. We all have a wish to make our home more charming, classy and comfortable. One of the most important things people think through while building a home is creating a well-planned storage units. There were days when it was thought that wardrobes were just a grandiose expression of decorating homes. Now the mindset is totally changed and wardrobes are considered as an indispensable and crucial thing in our homes. You will surely enjoy the beauty and benefits of bespoke walk-in-wardrobes. A well-manufactured fitted walk-in-wardrobe has the ability to maximise the storage space if your home. 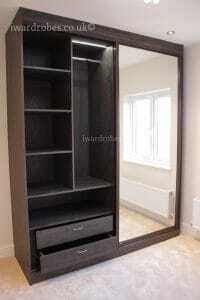 These wardrobes provide a good storage solution that can be crated according to your taste and space. Walk-in-wardrobes not only give a marvellous look but also provide an interior feature to store your accessories. When we talk about storing your personal belongings we talk not only about your clothes, but also shoes, bags, hats, ties etc. All this also needs a proper management and storage. At i-wardrobes we offer a vast variety of shoe and accessories storage options such as fitted shoe wardrobes, shoe and accessory drawers and shelves. Bespoke wardrobes come with primary benefits such as elegance, storage, and proper functionality. These professional style fitted wardrobes come up with extraordinary designs that will fit ideally and flawlessly to your desired style and the preferred functionality.